Five departments, one goal: Provide high quality preparation programs for teaching, related services and leadership careers in education so that our graduates will be well equipped to enhance the lives of individuals, families, schools and communities. With an emphasis on collaboration among departments, the College of Education and Human Sciences (CEHS) offers certification and endorsement programs in early childhood, elementary, secondary, special education, school administration and for educational professionals in school psychology and speech-language pathology. Five CEHS departments are engaged in preparing our future educators. Teaching, Learning and Teacher Education (TLTE) – preparing undergraduate students for teaching careers in elementary and secondary education. Graduate students can earn master’s, Ph.D. and Ed.D. degrees. Additional teacher certification and endorsement programs are also available. Special Education and Communication Disorders (SECD) – preparing undergraduate students for careers in special education teaching through certification and endorsement programs. 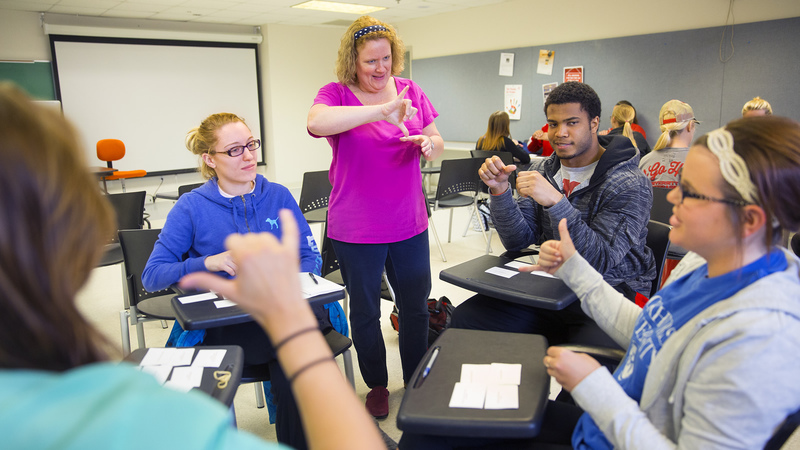 Graduate students earn master’s and Ph.D. degrees in special education. SECD also prepares students to become speech-language pathologists and audiologists with master’s and Au.D programs. Child, Youth and Family Studies (CYAF) – preparing undergraduate students to serve children birth to grade 3 with a bachelor’s degree in inclusive early childhood education. CYAF also offers bachelor’s and master’s degrees in Family and Consumer Sciences. Educational Administration (EDAD) – offers master’s and doctoral degrees in P-20 school educational administration. Educational Psychology (EDPS) – prepares graduate students to be national certified school psychologists through either an educational specialist degree or Ph.D. A master’s in counseling psychology is also available. Every CEHS program that leads to certification is accredited by a national accrediting agency. Accreditation helps separate UNL from other teacher preparation programs. More than 3,000 colleges and universities nationwide offer teacher preparation programs, but only 300 are accredited. It makes a difference. Educator Preparation – Teacher Education Accreditation Council (TEAC) and Nebraska Department of Education. CEHS is currently going through a new accreditation process for educator preparation programs through the Council for the Accreditation of Educator Preparation (CAEP). As part of this process, CEHS has completed a self study report (PDF). In addition, CAEP is calling for third party comments about CEHS's educator preparation programs. Visit the news story for more information. School Psychology – The Ph.D. in school psychology is accredited by the Commission on Accreditation of the American Psychological Association*, and the Ph.D. and Ed.S. in school psychology are approved by the National Association of School Psychologists. See our accreditation page for more information. 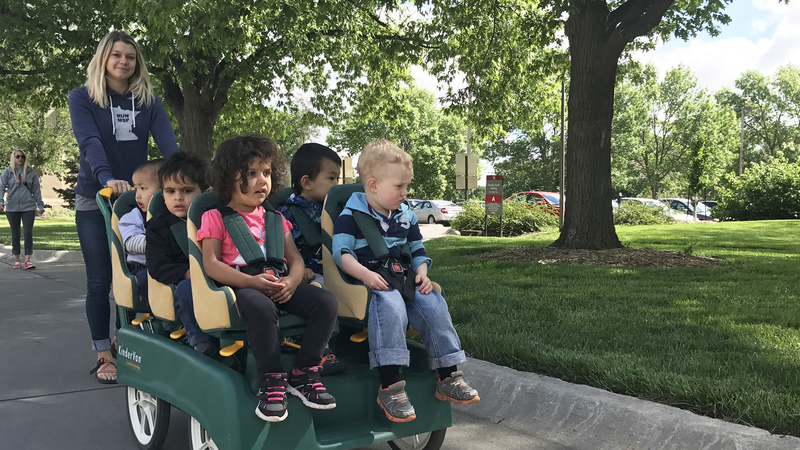 Inclusive early childhood education – students earn a bachelor of science (B.S.) with a Nebraska teaching certificate endorsement (Birth to Grade 3). Elementary education – students earn a B.S. in education with certification to teach in grades K-6. Secondary education – students earn a B.S. in education with certification to teach in grades 7-12. 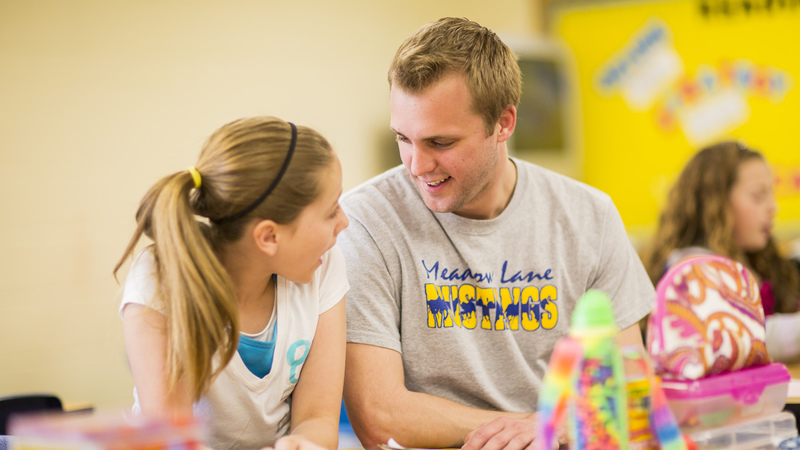 Special education – students have a choice of dual major in elementary education and special education (K-6) or a special education (7-12) degree. Both are B.S. degrees with certification. Teacher Education Candidate Performance – a summary of results on various measures of teacher candidate performance. School administration – students can earn a master’s or doctor of education in P-12 school leadership. The M.Ed. provides Nebraska principal endorsement and the Ed.D. provides Nebraska superintendent endorsement. School psychology – in a three-year program, students earn an educational specialist degree (Ed.S.) that meets the requirements to become a National Certified School Psychologist (NCSP). Speech language pathology – a B.S. degree prepares students to pursue their master’s or doctoral degree. The master’s degree meets requirements for the Certificate of Clinical Competence and a Nebraska teaching endorsement in speech language pathology. Audiology – the Clinical Doctorate in Audiology (Au.D.) meets the requirements for the Nebraska special services standard audiologist certificate. The experience of student teaching is an essential component in the development of educators. CEHS faculty and staff consider it to be the “capstone” in the preparation process for teacher education. For more information, visit Practicum and Student Teaching. This page includes contact information for Sara Skretta, director of professional experiences. Preservice teachers with questions about initial teaching certification or teachers interested in renewing a certificate can find details at Teacher Certification and Renewal. Contact information for Sara Skretta, certification officer, can also be found here. Teacher education applicants must complete the Praxis I Core Academic Skills for Educators examination. More information is available at the Praxis webpage. To review a summary of how CEHS teacher candidates perform academically, visit the teacher education candidate performance data page. Criminal history background checks are also required of all teacher candidates. Details are available at the criminal history background checks webpage. 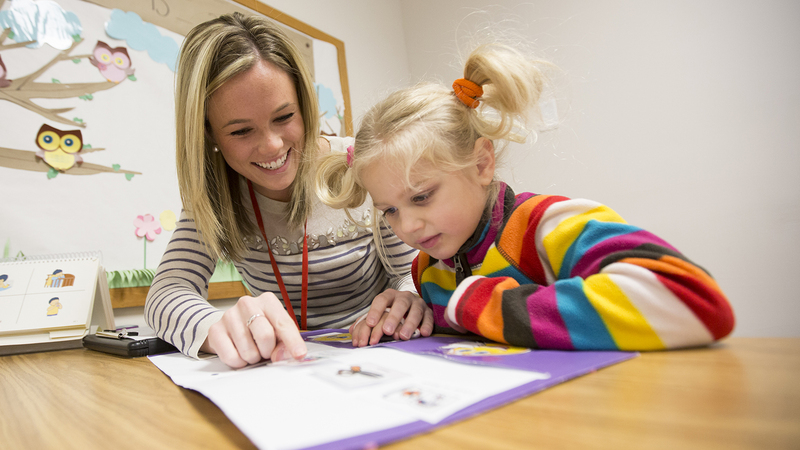 Clinical placements are an integral part of the school psychology program and the speech language pathology program. Please see the following links for more information. 100% of UNL candidates earned a passing score on the CORE. A passing score is required by Nebraska statute for all teacher candidates for Nebraska certification. Teacher candidate completers are also required to take the Parxis II subject area tests. Relationship to Standards or Component: As an alternative to meeting Standard 4.1. Impact on P-12 Student Learning and Development and Standard 4.2. Indicators of Teaching Effectiveness, we developed a phase-in plan for a case study that will include a completer-conducted action research project during the first year of teaching (i.e., 2017-2018), consistent with two additional measures already in place (i.e., UNL First Year Teacher Survey, NDE Administrator of First Year Teacher Survey). We will select six to eight program completers (i.e., ideally two from each area: Early Childhood, Elementary, Secondary, and Special Education) and ask them to gather and reflect on data on their impact on P-12 students in order for them to use data to inform their practice and for us to make plans for continuous improvements to our Education Preparation Program. This case study will be tied to Standard 1. Content and Pedagogical Knowledge. Program completers one year past graduation will generate a creative or scholarly product (i.e., a completer-conducted action research project) that demonstrates their impact on P-12 student learning. 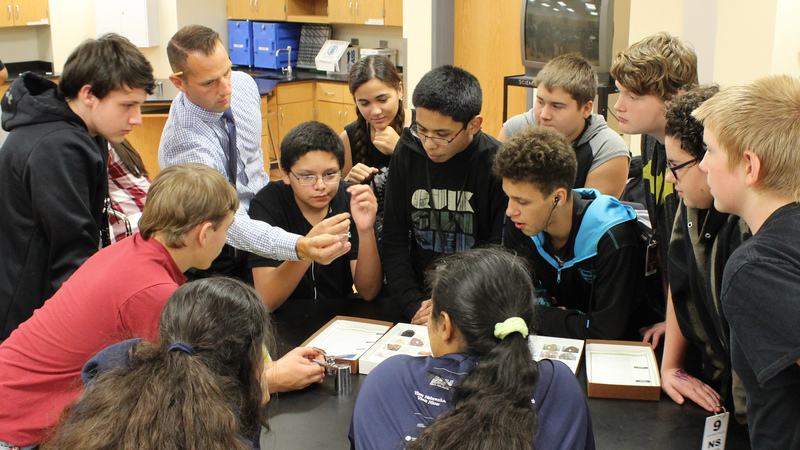 This project will require program completers to integrate the knowledge of content and pedagogy acquired throughout the program in their classroom, develop assessment plans, collect and analyze student data, and synthesize, interpret, and reflect on students’ learning to further make improvements on their teaching practices. Overview: In Nebraska, it is not possible to receive teacher specific data from school districts that show the impact of our EPP completers on P-12 students’ performance on state standard assessments because state assessment data on students cannot be shared outside of the school district by state regulation. Therefore, we presented data from (1) UNL First Year Teacher Survey (EPP completers complete this; Table 4.7) and (2) UNL Administrator of First Year Teacher Survey or NDE Administrator of First Year Teacher Survey (administrators who hired our EPP completers complete this; Table 4.8 and Table 4.9a-4.9d); and (3) the trajectory of our EPP candidates’ performance over the course of their study at UNL as an attempt to at least show their anticipated performance trajectory (Figure 4.1 and description on p. 50). In addition, we provided a Phase in Plan to inform that we intend to follow small groups of our EPP completers. Part I: Program completers will be asked to provide an introductory statement regarding content and pedagogical knowledge that includes the theme selected. Guiding questions are listed below. How do students learn within a particular subject matter? How can different subject matter be integrated effectively? How should subject matter be organized to enable students to learn it most effectively? In what ways (or through what strategies) can a teacher represent content/subject matter for students? How can student background knowledge be assessed and used in the teaching of subject matter? What knowledge, skills, and strategies should a teacher use to reach all learners? How does diversity provide a rich environment for learning? Which students might a teacher be “missing” and why? How will a teacher know if he/she is “missing” learners? How should research on multiple aspects of diversity (e.g., gender, race, ethnicity, sexual orientation, social class, ability, religion, language) influence teaching practices? What does a teacher need to know about informal learning opportunities and learning outside of school? What role does technology play in your professional life as an educator? How does technology support learning and teaching throughout the process of planning, implementation, assessment, and reflection? How should research on effective use of technology influence teaching practices? Part II: Program completers will be asked to describe the assessment processes implemented and discuss responses to and reflections on assessments focused primarily on the theme selected (i.e., Teaching Subject Matter, Teaching Diverse Learners, or Effective Use of Technology in Teaching and Learning). They will also be asked to include evidence of student learning over time with their reflection. Guiding questions are listed below. How did their understanding of [the selected theme] change over time? What assessments did you use in the classroom to assess students’ learning? How did students respond to your assessments over time? How did the assessment results change over time? How did you use the assessment results in your teaching? Data Quality: We will select two program completers from each area (i.e., Early Childhood, Elementary, Secondary, Special Education) by using the purposeful sampling method. We do not have an assessment tool to evaluate, but a sub-committee of our CAEP leadership group will develop rubrics prior to the first year implementation to evaluate the final product of completer-conducted action research projects. To ensure content validity of the measure, we will align the new assessment tool with Nebraska Early Learning Guidelines (P to K) and Academic Standards (K to 12) and have EPP faculty review the tool and provide feedback. Additionally, inter-rater reliability will be checked on a regular basis in coding and monitoring program completers’ impact on P-12 student learning. When the final product (i.e., online portfolio) is presented, EPP faculty will evaluate the project using the new measure aligned with state academic standards, compare the results with data from other sources (i.e., UNL First Year Teacher Survey, NDE Administrator of First Year Teacher Survey, 14 Dimensions Rubric), and make improvements to our EPPs focusing on the three themes (i.e., Teaching Subject Matter, Teaching Diverse Learners, Effective Use of Technology in Teaching and Learning). Student loan default data for the University of Nebraska-Lincoln can be retrieved online at https://studentaid.ed.gov/sa/about/data-center/student/default.